We were more than team building houses—we were making a lasting difference in a community by providing real people with a real home. NT Concepts received a $10,000 prize for our selected non-profit, Youth With a Mission (YWAM), San Pedro, for their 2014 Super Service Challenge video diary chronicling a two-day housing construction in the Dominican Republic. Under the nationwide Super Service Challenge, companies or groups of employees team up and help nonprofits win cash prizes by sharing their service project stories and collecting votes. “We hope this will inspire and challenge other businesses to participate in pro bono and skills-based services like Homes of Hope and the 2015 Super Service Challenge, where people can work together and use their talents to make a real difference,” Michele added. “The staff of YWAM San Pedro thanks NT Concepts for submitting your video to the Super Service Challenge and winning $10,000! This is great news for YWAM, showing the dedication of our staff and the positive effect of Homes of Hope on your company.” - Malcolm Taylor, Director, YWAM San Pedro, Dominican Republic. Team NT Concepts video “Homes of Hope: YWAM” can be seen here: http://www.superservicechallenge.com/video/homes-of-hope-ywam/?1417439211356. The Super Service Challenge, first launched in 2010, is supported by Companies With A Mission, an initiative that works to promote volunteerism. Drew Brees and the Brees Dream Foundation are lead partners in supporting the Super Service Challenge. For additional information on the Super Service Challenge and how to get involved, visit http://www.superservicechallenge.com. 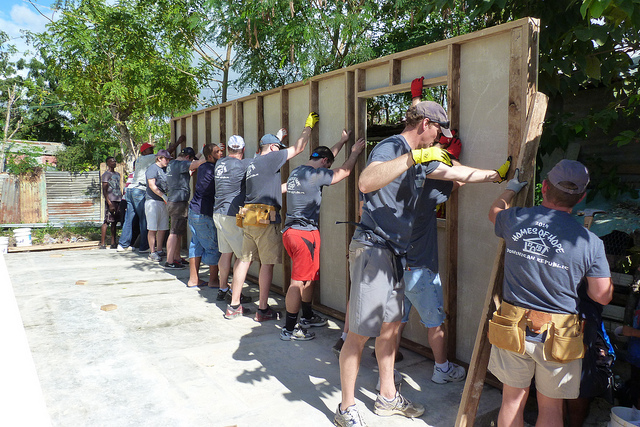 Homes of Hope is a two-day experience where companies and groups of people join together and build a home for a needy family in San Pedro, Dominican Republic. With Homes of Hope, you can live out your values, create a sense of teamwork and unity, and become more aware and informed of the conditions and needs outside your everyday “world.” For additional information and how to get involved, visit http://www.ywamsanpedro.org/homes-of-hope.html. NT Concepts delivers technology-enabled solutions and services. Our core values and corporate culture are built on working together to create solutions and provide services that improve business operations for customers and citizens. Learn more about our dedication to social responsibility at http://www.ntconcepts.com.